New construction! 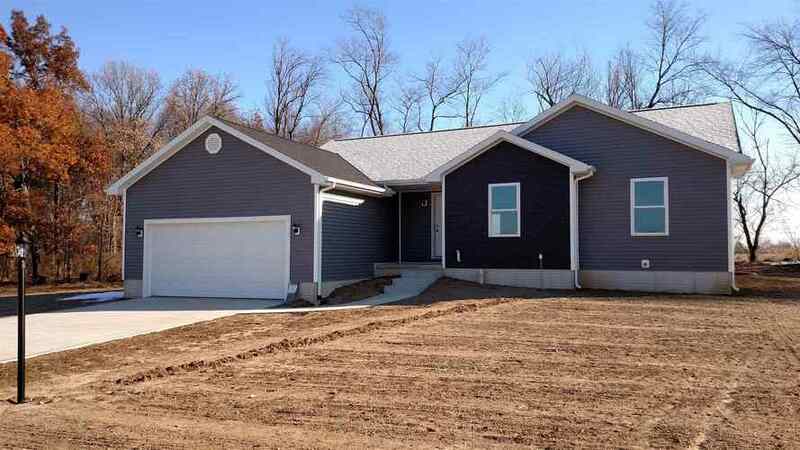 3 bedroom, 2 bathroom home on a quiet street, in a great neighborhood just south of Shipshewana. Master bedroom includes a walk-in closet and full bath with dual vanity. Open living room and kitchen area. Main floor laundry room. Full unfinished basement below with an egress window for future bedroom. Deck out back to enjoy nature and the views of the tree line and fields. Call today to check it out! School System : Westview School Corp. Directions:State Road 5 to Berkshire Drive to Yorkshire Drive. Then left on Stratford Lane. House is on the right. School : Westview School Corp. Listing provided courtesy of RE/MAX Results-Goshen.